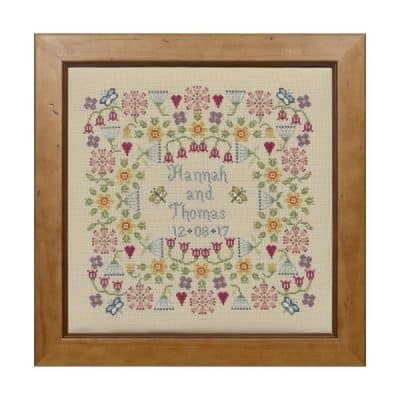 A gorgeous Sampler to celebrate a summer wedding. The Bride & Groom's details are circled by an abundance of pretty flowers, all stitched in a palette of vibrant spring colours. 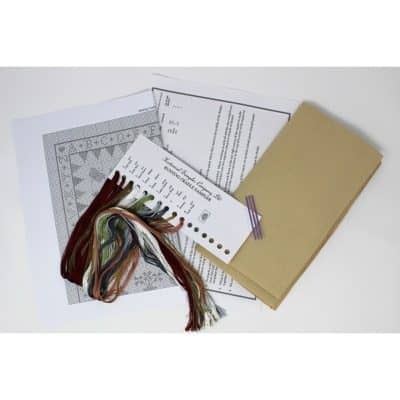 The Sampler has a lovely vintage feel as its stitched on our specially dyed fabric.